Can the Royals survive our era of online rage, asks David Mitchell. Do you think there's always been so much rage around, or is it on the rise? Are there usually this many angry people - or rather this percentage of angry people, past ages invariably having a smaller population? Two hundred millennia ago there were probably fewer humans living in total than have furiously "liked" some tweet about Brexit in the past hour. So we've got to talk about rate, not numbers. Is the human anger rate generally this high? There's no reason to think not. Human history is, after all, overwhelmingly grim and unfair - much like contemporary events but, on average, probably worse. That'll cause a little rage spike in some: "How dare you say this isn't the worst time to be alive - how out of touch!" But it isn't - not yet. If we all work together, maybe it can become so, but the competition's fairly stiff and covered in buboes. It's probably not the best time either, but that's scant consolation. It leaves us somewhere in the mediocre middle, which is demeaning. Human vanity craves an existence that is in some way superlative or we start feeling like we don't matter and will be forgotten, which makes the whole sensation of having a s... time even worse. That's what drives people to build cathedrals or murder hitchhikers. So it's self-regarding to think the anger is new. There's always been so much to get on people's nerves. At any given moment, we're all going to die, and some of us just have. So why not be furious all the time? Unless you have an unshakable religious conviction that this is just the annoying bit before paradise - like getting through an unpleasant airport on the way to a dream holiday, or on the way to committing a suicidal, eternal-bliss-securing terrorist outrage - then there's really no reason not to be perpetually cross. You may happen to hate the sensation of being annoyed, but, as a quick look at the internet makes clear, millions don't. I reckon wrath is now beating lust as the deadly sin most people hope to stir up in themselves by going online. And the internet is also how we know there's all this anger out there. In the old days, everything carried on for centuries (kings, queens, village greens, longbows, enclosure, feudalism, capitalism, the Roman empire, etc) and then suddenly there'd be a violent eruption - an invasion or exodus or war or revolution - that revealed how crotchety everyone had been for ages. Human history before social media was like earthquakes before seismologists. If Nicholas II had been able to look at Twitter in 1917, his descendants would currently be living in Kensington, selling off another imperial crown every time they need to get the pool retiled. Of course, some of his family actually do live in Kensington - Kensington Palace, to be precise - and they have been looking at Twitter, or rather getting their staff to look at Twitter, and while they're at it Instagram as well. And it's sobering reading, according to a report last week. Most of it, Kensington Palace is at pains to point out, is very positive, but there's also lots and lots of abuse, sexism, racism and threats. It's mostly different factions of commenters having a go at each other, but there's also a fair bit directed at the Royals, particularly at one or other of the two new duchesses - and often by fans of the one or other, if you catch my drift. I mean, you've got to pick a duchess, right? You can't like them both - they're slightly different. I'm sorry to hear that the internet has found a way of projecting hatred, abuse and threats as far as the minds of people the Royal Family has to speak to, on top of drowning out reputable media with lies, destroying the high street and abetting paedophiles. But, on the plus side, it has got easier to book a taxi. And, I must say, I can understand anger against members of the Royal Family. It's unfair, but so is society - and a lot of online abuse is a tiny, impotent attempt to retaliate with unfairness against an unfair world. I haven't got a problem with the Royals myself - I think they're harmless and well-meaning. And to replace them the United Kingdom would need a new constitution, which would have to be framed by contemporary politicians - you know, the same ones who currently can't even agree on the means by which the country should commit economic suicide. So leaving the constitution alone seems prudent. But there's no doubt that the whole Royal aesthetic is looking increasingly dated. I don't mean that in the way you might assume. I don't think that having a gilded medieval institution as the country's nominal figurehead is inappropriate to a dynamic, egalitarian and socially mobile democracy. When Britain still had serious claims in that direction, when there was a general sense that the nation, if not yet fair, was becoming fairer, the monarchy was a picturesque adornment - a benign but spectacular link to a more brutal past, the innocuous unfair old exception that proved the new rule. But that's not what this country really is any more. The gap between rich and poor is widening; privilege and want are on the rise again. In that context, the image of the sovereign sitting beside a gold piano, telling us to try to rub along, becomes more problematic. 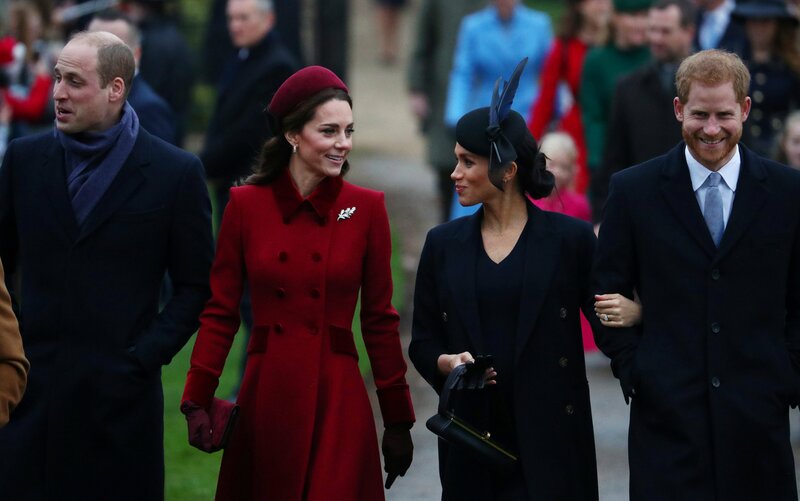 Gradually the trappings of royalty - whether it's the coaches and palaces, the skiing and designer clothes, or the well-meaning charitable platitudes - start to seem, through no fault of the Royals themselves, like a sick joke at poor people's expense.